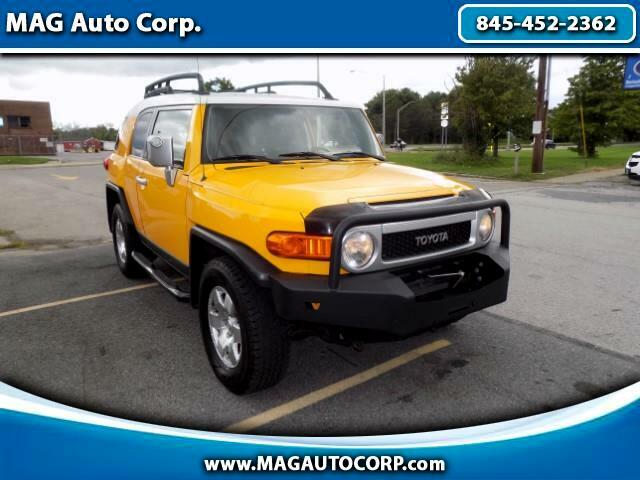 Used 2007 Toyota FJ Cruiser 4WD AT for Sale in Poughkeepsie NY 12603 MAG Auto Corp.
FRONT LINE HEAD-TURNER! TRUE TRUCK BODY ON FRAME PLATFORM SUV! NEVER GET STUCK IN THE SNOW EVER AGAIN- HAVE FUN WITH IT! SUMMER TIME FINE! CALLING ALL ENTHUSIASTS! CONTACT MERCEDES OR ANDREW DIRECTLY IF YOU'RE READING THIS - THIS FJ CRUISER IS IN STOCK AND AVAILABLE FOR IMMEDIATE DELIVERY- SO TAKE IT HOME TODAY!